Everyone wants healthy, glowing skin. And they want to be able to keep it that way. Do you want the same for your skin? 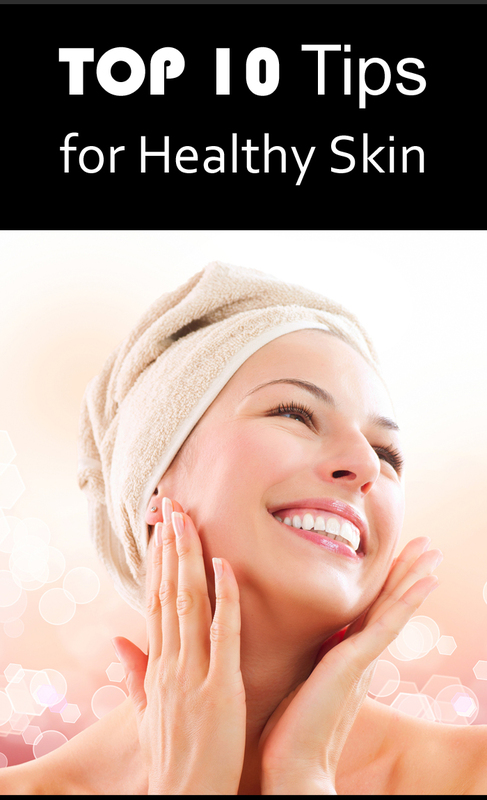 Follow these ten tips for healthy skin to start your path to getting radiant beauty. To make sure your body will function properly, you need to maintain hydration. After all, the human body is made up of 70% water. By hydrating your body, you’re keeping cells nourished and tissues moist and toned. You should be drinking at least 2 liters of water every day, avoiding beverages like alcohol, caffeinated drinks, and coffee. These liquids can actually prevent your tissues from absorbing water. Eating organic, well-balanced foods gives your skin the vitamins and minerals it needs to stay healthy and maintain its intake of essential fats. That means incorporating lots of fruits and veggies into your diet. Harsh products such as soaps and detergents can strip away the essential natural oils your skin needs. Instead, choose products with natural and organic ingredients. This can include smoking, toxic cleaning products, and harsh beauty products. Avoid these to avoid damaging the proteins and fats inside your body. Excessive amounts of sugar or glucose in your foods can result in skin inflammation, wrinkles, and bags under your eyes. Avoid sugary foods to make sure you’re keeping unnecessary problems from happening to your skin. If you have a sweet tooth, eat treats in moderation or, as a much better alternative, grab an apple or a granola bar. Enjoy the Sun – Safely! You should be getting at least 20 minutes of sun exposure daily. Your skin needs it to get the vitamin D, melatonin, and raised serotonin and dopamine that can help your skin’s health significantly. Cleanse your skin, hydrate your skin, and moisturize your skin on a daily basis. You can take additional measures to ensure healthy skin by exfoliating, which removes any dead skin. Face lift massages can help prevent muscle sickness, tone your facial skin, reduce wrinkles, and boosts the immune system. Doing these can keep your skin looking clear and young. Stress can lead to oily and acne-prone skin and water loss, which prevents your skin from healing itself. Avoid it by allowing yourself adequate amount of sleep, exercising daily (at least a 30-minute walk), and meditating when under stress.